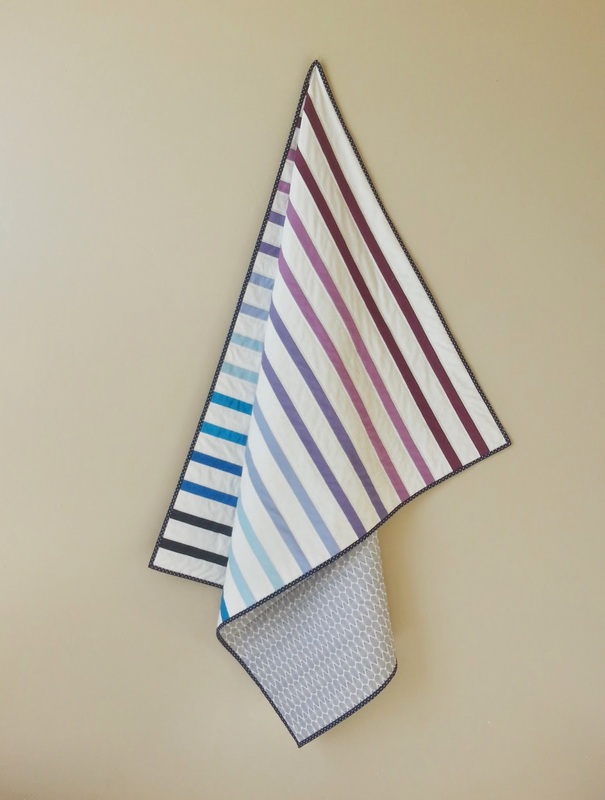 This color scheme was inspired by my sister and her three little girls. Pink is definitely the go-to color when it comes to little girls, but sometimes pink can get tiresome. My sister fully embraced pink for her first daughter. When her second daughter came around she sort of went with pink by default, but when she ended up with a third daughter she was SO sick of pink she kind of revolted. 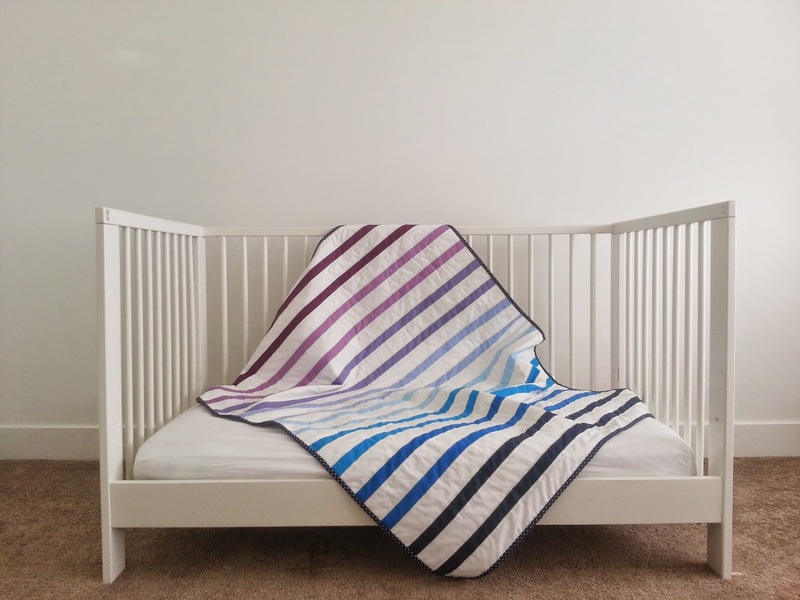 This version of my striped quilts is a modern alternative to the all pink world for little girls. I think the gradient plums and berries compliment each other so well without screaming GIRL! 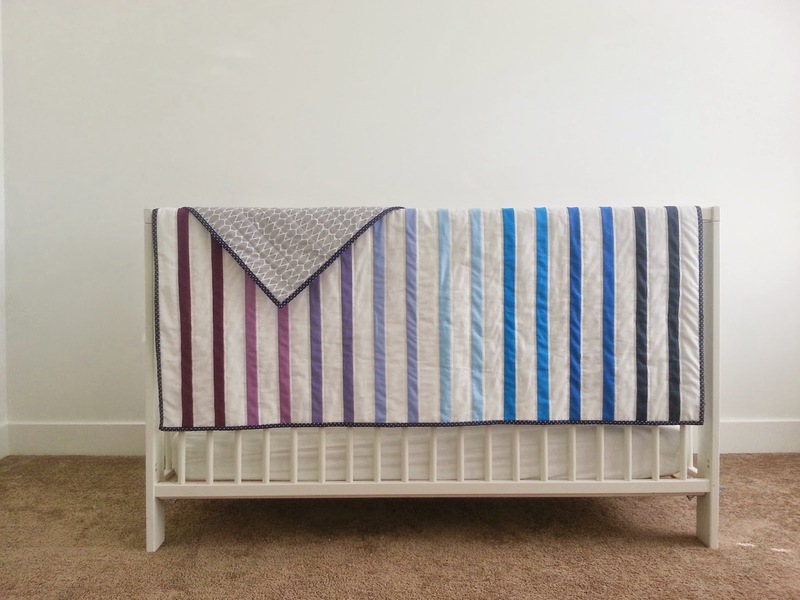 You can see that all my quilts are generously sized to fit a standard sized crib, thus ensuring that your child can use them long after they grow out of the baby stage. In fact, they are sized for children up to 5 years old. 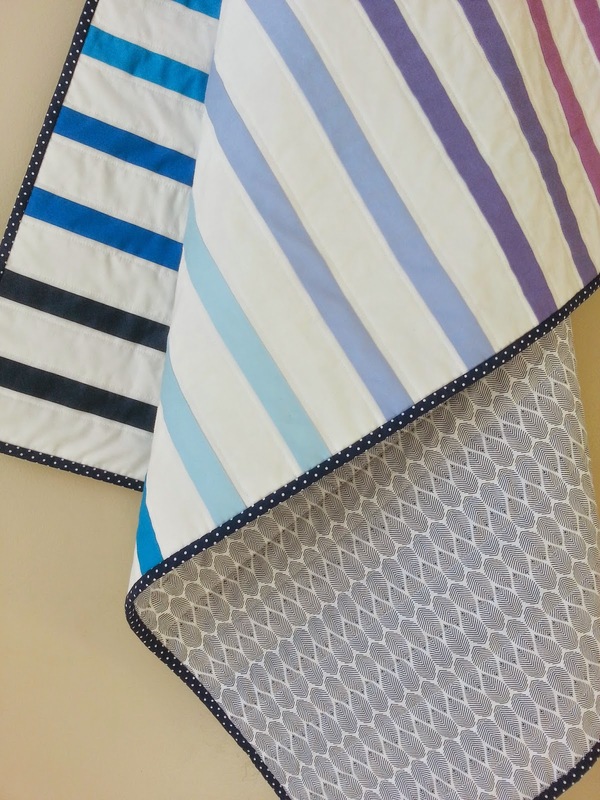 Find this quilt ready to ship in my Etsy Shop.